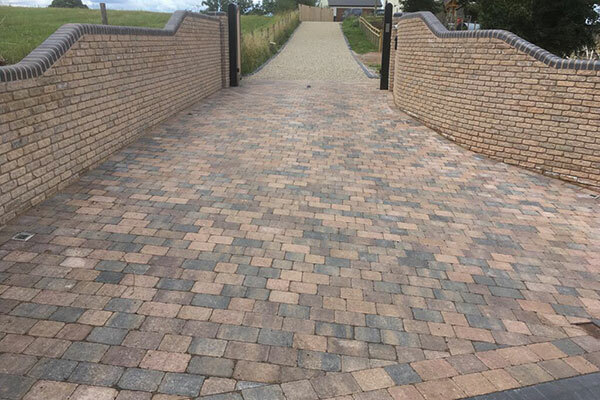 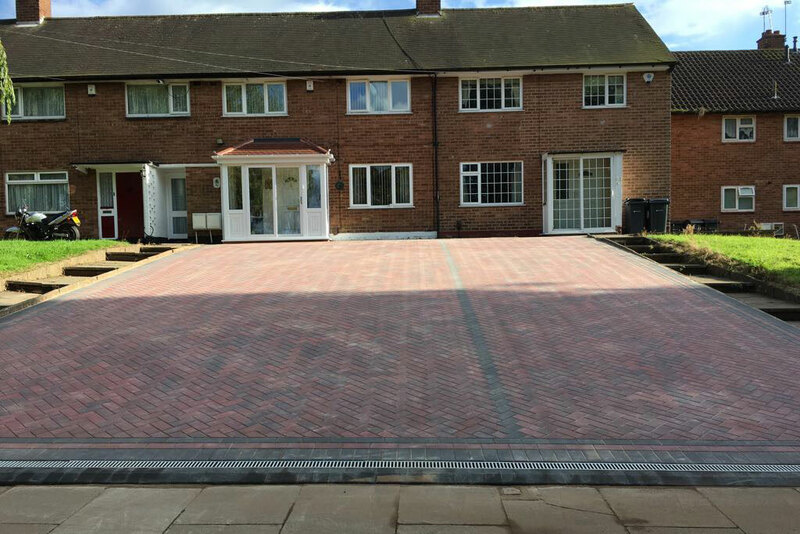 A stunning new block paving and gravel driveway in Dodford, Bromsgrove. 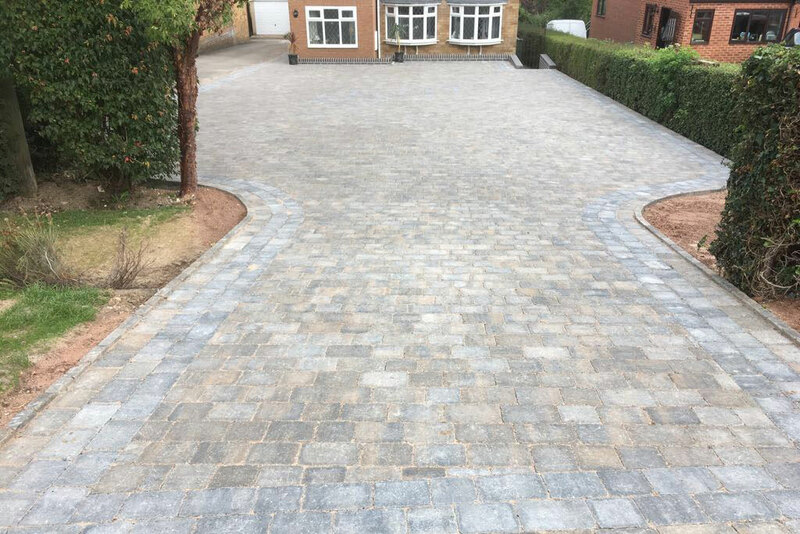 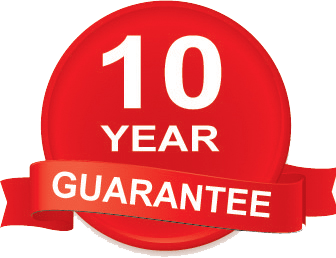 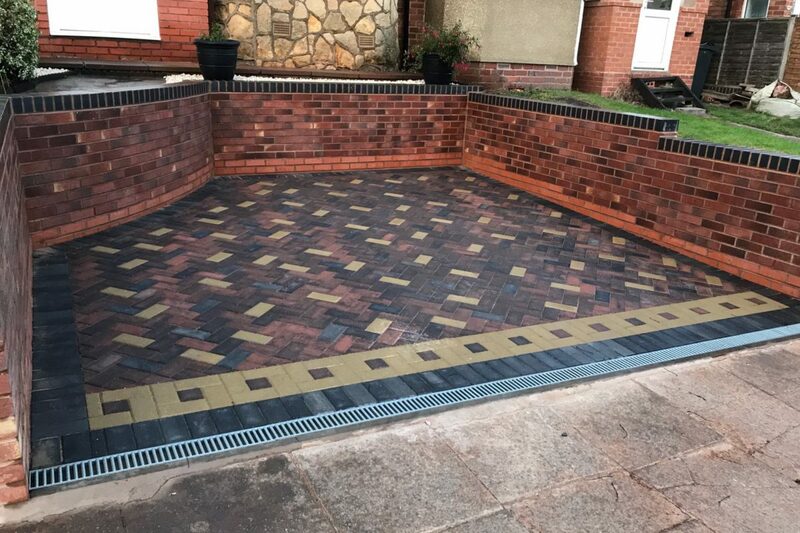 Featuring Carrara Stone Premium block paving laid in stretcher bond format to the front of the drive and where the drive join the house and patio area. 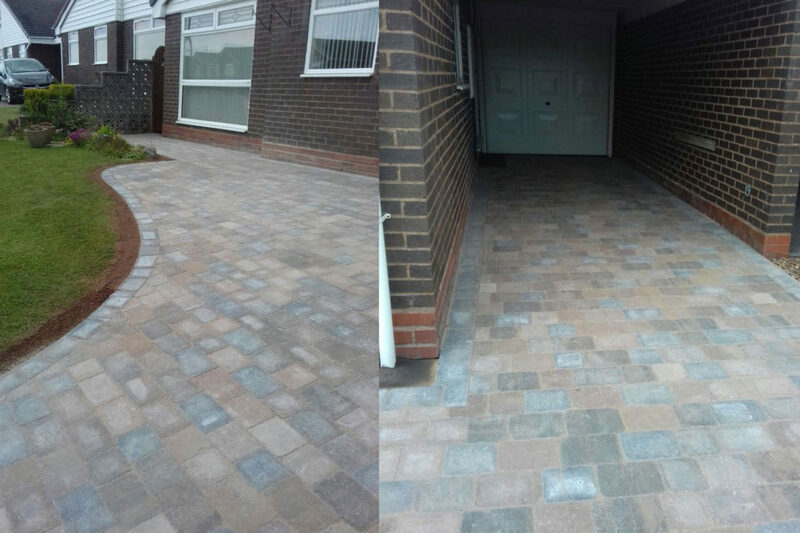 We used Natural Stone Gravel sandwiched between the two block paved area. 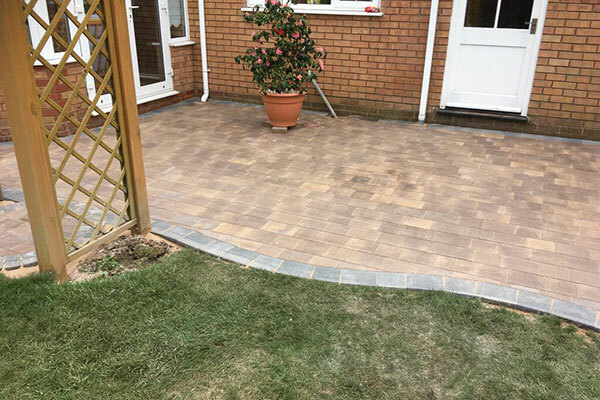 Sandstone Paving was used on the large patio. 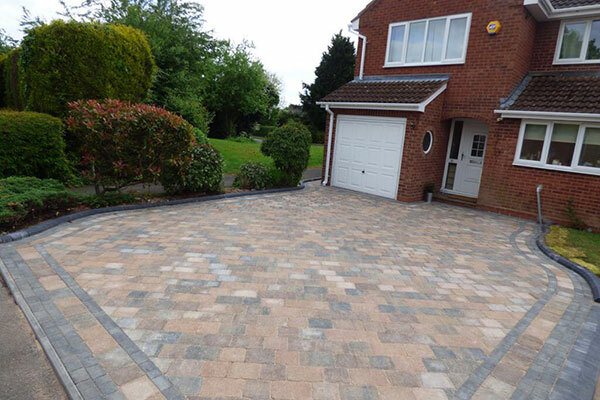 This project also included the addition of new walls to the drive and patio area.